Halloween is coming! And what Halloween is without creepy mummies sneaking at you from behind? Hraaaa!…. These delicious cake pops were made by hands in my kitchen. The “mummification” process had two stages: dipping in hot white chocolate and “bandaging” with white chocolate drizzle. The eyes were made of colored fondant. 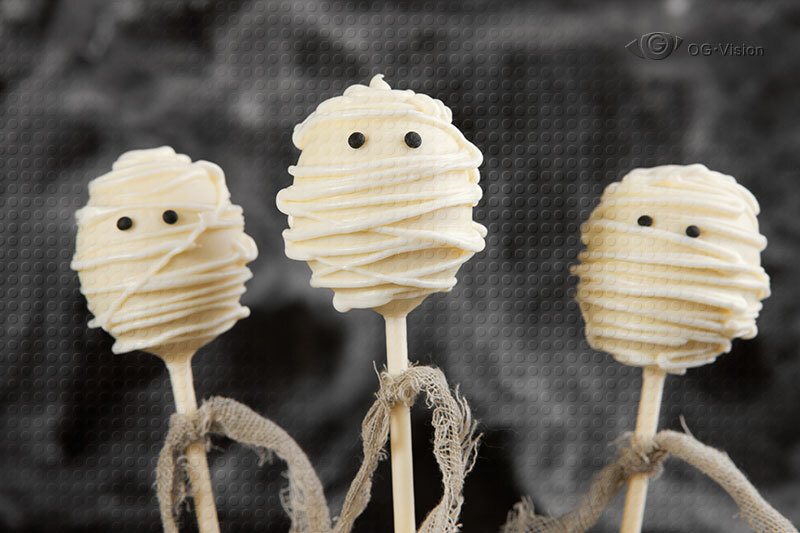 These mummies are so cute and tasty it’s scary! Filed under Dessert, Food. Tagged cake pop, chocolate, dark, fondant, gray, Halloween, mummy, sweets, white.